Did you know that 95% of collisions are due to human error? Or what the biggest dangers whilst driving are? Loving the freedom your car gives you? 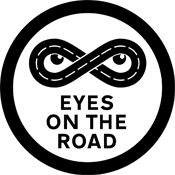 During the first twelve months of driving you will start to develop your driving skills further, especially anticipating other road users’ behaviour to avoid having a collision. All drivers no matter how long they have been driving continue to develop their driving skills. Here’s our top tips on how you could avoid the fatal four. Even careful drivers can be distracted, by a phone call, text message, in car technology or a Satnav. A split second lapse of concentration could result in a crash. Multi-tasking and driving puts you, your passengers and other road users at risk. 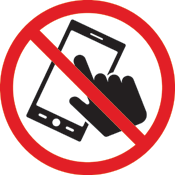 Using a mobile phone when driving increases the chances of a crash by 4 times. Let people know you do not answer your phone when driving. Arrange a code for any urgent calls e.g. Call three times for a set number of rings, you can pull over when it is safe and return their call. Did you know that drivers who are messaging are over 20 times more likely to crash? Or that if you look at your phone for around 2 seconds driving at 30mph you will miss 100 feet of the road? Texting while driving is especially dangerous because it combines all three types of distraction. Manual: taking your hands off the wheel. Cognitive: taking your mind off driving. Never read or send a text while driving, it’s just not worth the risk. Use your phone as a sat nav or for music? Place out of reach in a cradle and turn off your notifications so you are not tempted to respond. If you need to adjust it, pull over in a safe place and stop. In car technology or Sat Navs can be distracting. Set the systems before you drive. If you need to adjust them, pull over in a safe place. Don’t let your friends distract you! You’re responsible for your passengers’ safety so don’t let them distract you. If they start to distract you ask them to stop and explain that you need to concentrate on driving so you all get to your destination safely. You can use hands-free phones and sat navs when you’re driving. But if the police think you’re distracted and not in control of your vehicle you could still get stopped and penalised. Driving at a slower speed will give you those couple of extra moments that could lessen the impact or even avoid a crash. Could you react fast enough if the unexpected happened? Approaching a junction or bend too fast. Be unable to negotiate narrow roads properly. You are responsible for your passengers’ safety. Don’t let them encourage you to drive faster even if you are late. The faster you drive the less time you have to stop if something unexpected happens. Crashes happen when you run out of time and space. Thinking distance is the distance travelled between the driver realising they need to brake and applying the brakes. 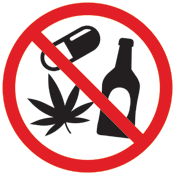 It can be increased by tiredness, distractions, being under the influence of alcohol or other drugs and speed. The braking distance is the distance taken to stop once the brakes are applied. It increases if the car’s brakes or tyres are in poor condition. Or the road and weather conditions are poor and with the cars speed. 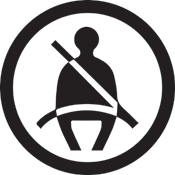 Your seatbelt could be a lifesaver. 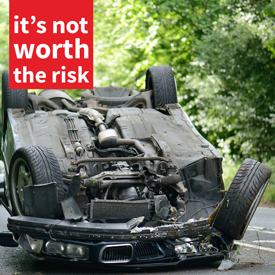 Did you know that you are twice as likely to die in a crash if you don’t? Have you ever thought one drink won't matter it'll be fine? The only safe option is not to drink alcohol if you plan to drive. Even if you are below the legal limit, a small amount of alcohol will seriously alter your ability to drive. 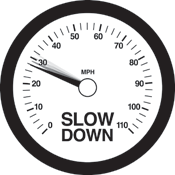 Reaction times may be slowed and judgement of risk, speed and distance may be impaired. If you are intending to drink remove the question of driving from the equation. It’s not worth the risk. Booking a taxi? It can cost as little as one round of drinks. Designating a driver? 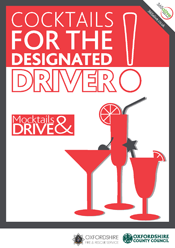 If you're in a group, agree who will be the designated driver before any alcohol has been drunk. Mocktails are mock cocktails or non-alcoholic cocktails. They are a great alternative if you’re the designated driver or for party guests who are driving. If you’re going out rather than staying at home, lots of restaurants, pubs and bars offer a Mocktail menu. If they don’t, you could ask for a ‘virgin’ version of your favourite cocktail instead, any drink recipe can be modified by simply leaving out the alcohol. Enjoy a few beers or glasses of wine on a night out? Ever thought I've had a good night’s sleep I'll be fine to drive this morning? You could still be over the drink drive limit the morning after, even if you feel fine. If you’ve enjoyed a few alcoholic beverages last night make sure you’re not over the limit. Never drive if there’s even a slim chance you are still ‘under the influence’. Time is the only way to get alcohol out of your system. Drinking coffee, sleeping, or having a shower doesn’t work. 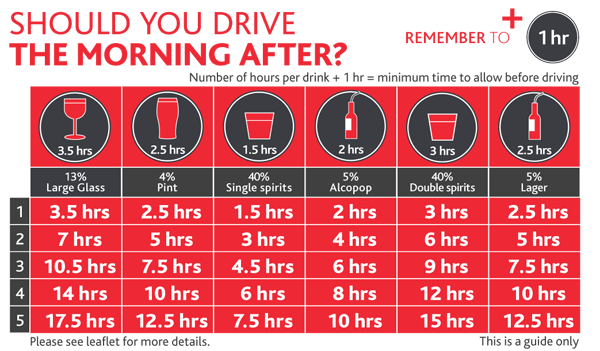 Use our handy guide to find out when you’ll be safe to drive after drinking or download our morning after leaflet. We never fall asleep without warning. Drivers who fall asleep have often tried to fight off drowsiness by turning the heating to cold, opening a window or turning up the radio. These tactics don’t work. It may be tempting to risk driving when tired, but it can be lethal. Research shows that it’s impossible to stop yourself eventually nodding off at the wheel. Include at least a 20-minute break every two hours. Get enough sleep and remember the same risks apply if you have to get up unusually early. Try to avoid long trips between midnight and 6am as we are more likely to feel sleepy during this period. 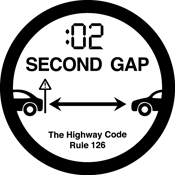 Find a safe place to stop, not the motorway hard-shoulder. Drink two cups of caffeinated coffee and have a rest for at least 15 to 20 minutes to give the caffeine time to kick in. Have a 20 power minute nap. When you feel alert again, drive on. Stopping for a nap and drinking a caffeinated drink only works once and is a temporary solution.